Showing results by author "NiKay R"
As women, sometimes we find it hard to balance life with the many roles we have. We watch others and observe how they balance their busy lives, while we flounder around in what seems like total chaos. We tend to ask, "How do they do it all?" 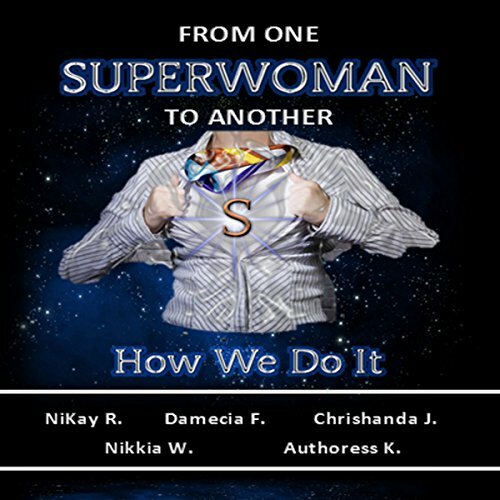 From One Superwoman to Another is a collection of inspirational stories from five remarkable women. The stories come from a wide variety of experiences. Each one is guaranteed to motivate, inspire, and empower women from all walks of life. By: Damecia F., NiKay R., Chrishanda J., Authoress K., Nikkia W.